Jason Cook is Managing Director at The Chertoff Group. Leadership member of the Strategy Practise and Technology vertical, providing strategic direction and operational expertise across the technology spectrum. Proud to mentor and help others reach their potential and chosen path. The Chertoff Group is a premier global advisory firm focused on security and risk management. The Chertoff Group helps clients grow and secure their enterprise through risk management, business strategy, and merchant banking advisory services. Previously, Jason Cook lead BT’s security practice across the Americas region and ran BT’s portfolio and service design activities in the region. Jason was responsible for sales, portfolio, partners and operations for security. At the same time, he ensured that BT consistently maintains high standards across BT Americas for our own security. In addition, Jason lead several teams of sector CTOs, service design and transformation teams. He was responsible for delivering solutions for more than 7,000 of BT’s global customers across the company’s lines of business. With his team’s help, Jason helped to create and provide customers with innovative service propositions and solutions. Jason most recently served as IT Director for BT Americas, responsible for major account global E2E solutions and service design. 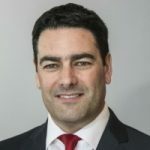 Jason’s twenty-plus years with BT have given him technical and leadership experience in infrastructure, architecture, development and extensive experience working with vendors. Jason and his teams are always seeking the next stages of customer service and IT advances, with an eye toward developing effective and profitable service propositions for BT’s customers. The function of the IoT Community, is to focus on the adoption & application of IoT in commercial environments, seeking to understand & contribute to applying the technology or overcoming the wide variety of barriers, inhibitors, and technical & operational issues. As a member of the board, Jason will provide impartial input and guidance to the overall vision, strategy and execution that is helping to shape the current and future direction for the IoT Community, as well as the broader IoT industry.